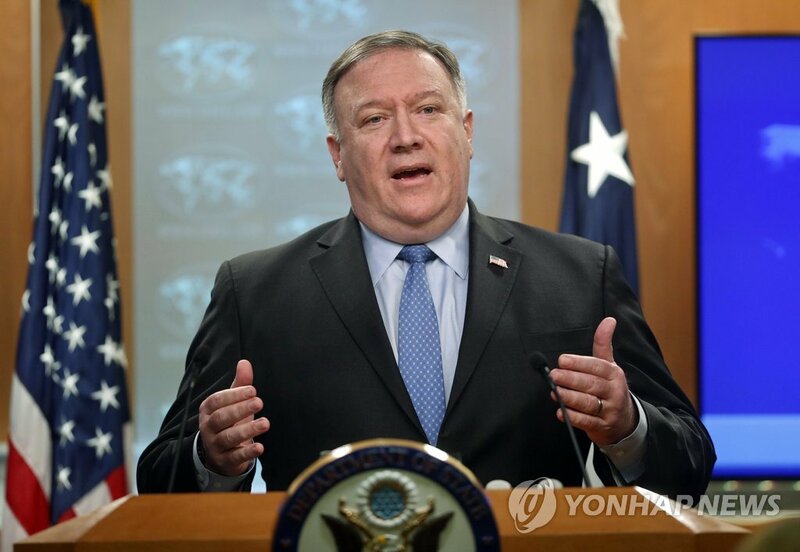 WASHINGTON, Nov. 28 (Yonhap) — U.S. Secretary of State Mike Pompeo said Wednesday that he is “very hopeful” for a new meeting with North Korean officials to discuss the denuclearization of the regime. Pompeo was slated to meet with Kim Yong-chol, a close aide to North Korean leader Kim Jong-un, in New York Nov. 8, but the plan was abruptly postponed over what the U.S. called a scheduling conflict. “I don’t have anything to add on the sequence of events in North Korea. But I’m very hopeful we will have senior-level meetings before too long,” the top U.S. diplomat told reporters after a Senate hearing on U.S. policy in the Middle East. The U.S. and North Korea have been trying to flesh out a denuclearization agreement reached between U.S. President Donald Trump and Kim Jong-un at their historic Singapore summit in June. Kim committed then to work toward “complete” denuclearization in exchange for security guarantees from the U.S. But progress has been slow as the U.S. insists the North first achieve “final and fully verified” denuclearization, while the North demands sanctions relief and a formal end to the 1950-53 Korean War. Earlier, some news outlets reported that the U.S. had offered to reschedule the Pompeo-Kim meeting for Wednesday at the latest, before the secretary accompanies Trump to a Group of 20 summit in Argentina this weekend. That offer apparently failed to materialize.